What happens when you want to have the perks of eloping but you also want a few dear family and friends around? You hold an intimate wedding, aka a “micro wedding” and get the best of all worlds! 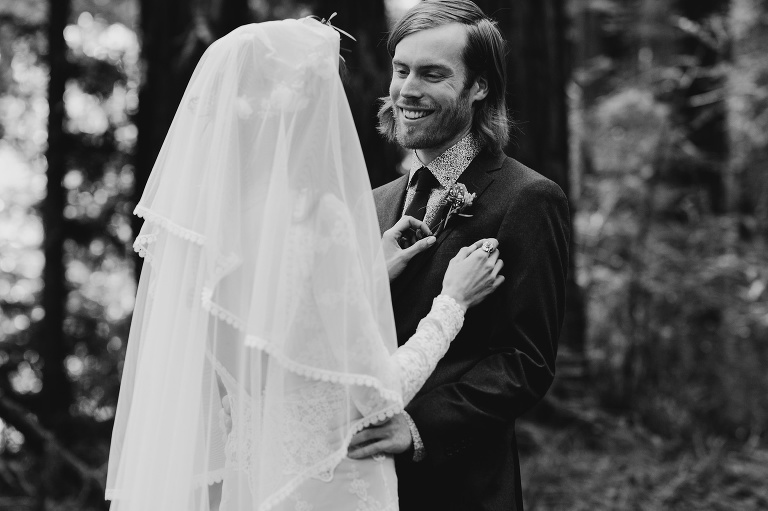 Jack and Dana held a tiny destination wedding in Big Sur, California. Their ceremony was in a gorgeous redwood forest just off the trail at Limekiln State Park. Afterward, we all enjoyed the views of the incredible coastline on our way up to the reception at Big Sur Bakery. My favorite part of weddings is learning the bigger story about the couple from their friends, family, and their own vows. Back in the day when it all began, she was the cute girl who always wore glitter eyeshadow and he was the guy with really great taste (and talent) in music. On their wedding day, Dana wore her glitter eyeshadow and Jack played tunes for us as we drove up and down the Big Sur Coast. Way to bring it full circle! Some of my favorite details from this day to take note of: Jack’s floral print shirt, Dana’s handmade marbled napkins and favors, Dana’s bouquet made by Jack’s dad, and Dana’s amazing blue velvet shoes! 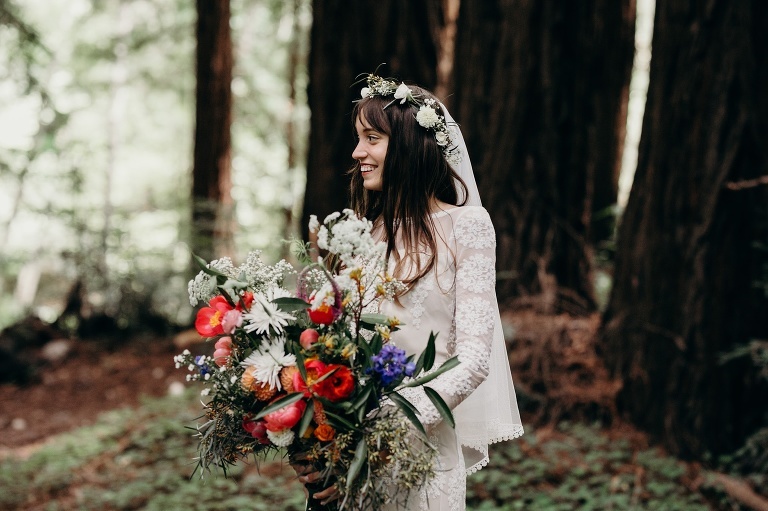 Want to see more California elopement inspiration? Check out this Santa Cruz LGBTQ Elopement Inspiration shoot!